How have you been getting on with the old Christmas shopping? Have you been ticking off family members from your list since the summer months, or are you still waiting for inspiration to hit you? 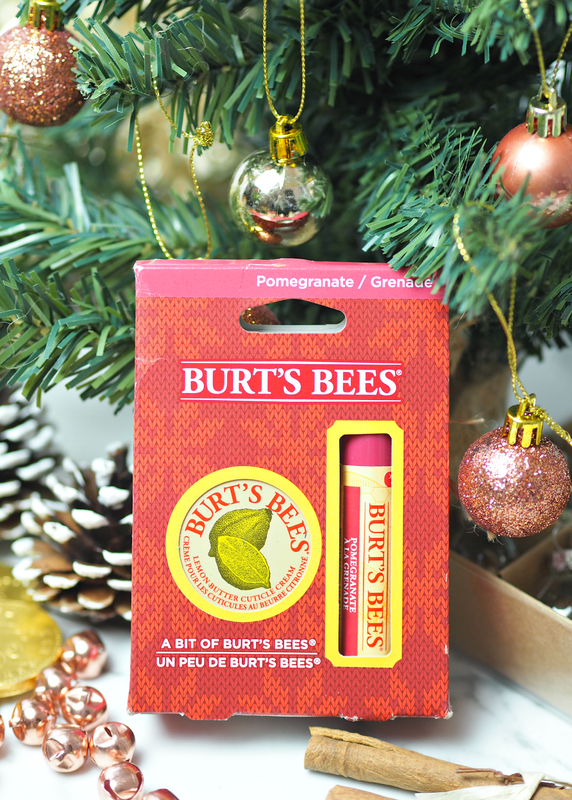 Whether you’ve almost completed the annual shopping marathon or are yet to start, there’s always a Burt’s Bees gift to make someone happy. This year there are more affordable gifts than ever before, offering great savings and re-usable packaging so it’s friendly for both your purse and the environment. Like many others, I adore their lip products more than anything else under the Burt’s branding – because they offer a soothing and more natural alternative, while still providing a great colour result and a comfortable finish. (Have a read of this post I wrote earlier in the year as to why it’s a good idea to make more ‘natural’ lip decisions.) 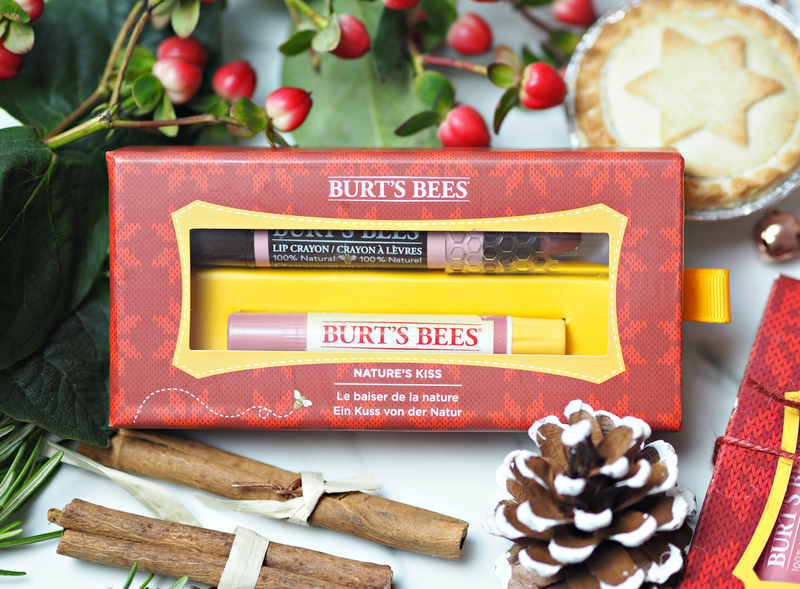 Burt’s Bees 100% natural lip treats play a big role in their affordable gifting this year, and it’s no surprise; they’re their best selling and most well known products for good reason! I for one can never have enough. 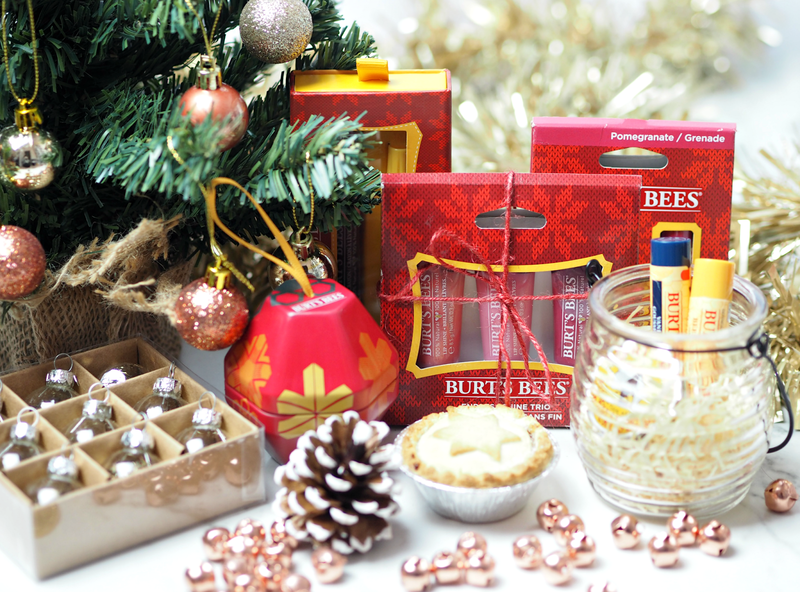 If you’re looking for a little stocking filler, Secret Santa gift or simply want to take advantage of the savings on offer, then here are five of the best affordable gifts from Burt’s Bees this year. Available in 100% natural original Beeswax, Pomegranate, Vanilla Bean or Coconut & Pear, this is the perfect little affordable treat to show you care. Each gift box contains a classic lip balm to leave lips moisturised and cared for, as well as either a Hand Salve (with the original Beeswax balm) or Lemon Butter Cuticle Cream (with the flavoured balms) to look after your other dry bits too. It’s a great way to introduce someone into the brand, or a fun little last minute gift that doesn’t even need wrapping. 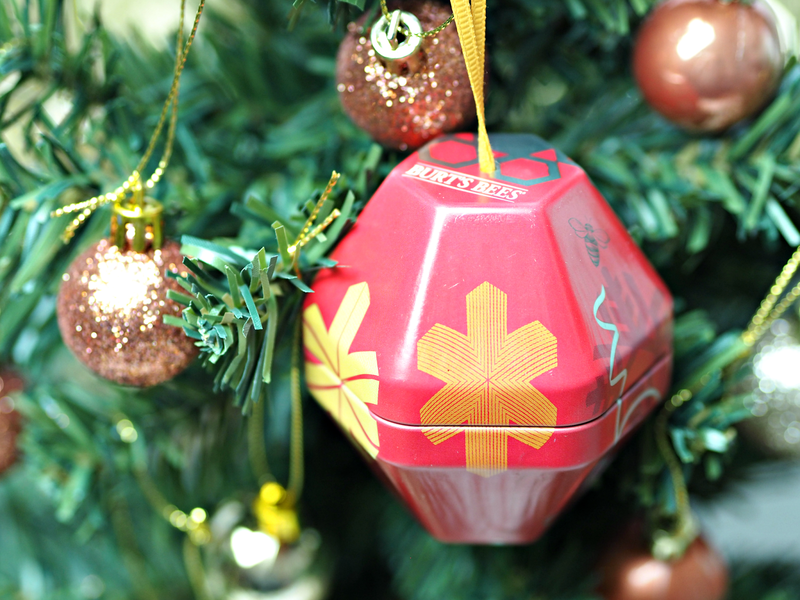 This bee-inspired tree hanging decoration looks as good on the tree as it does under it. Inside the little tin is a Moisturising Lip Balm as well as a Hand Salve tin, both made with hard-working and 100% natural ingredients. Using botanical oils, herbs and beeswax, both of these treats help to soothe away dryness and hydrate rough, dry hands. You can reuse the tin as a decoration year after year, or turn it into a storage solution for all your bits and bobs – the choice is yours. This really is a treat from the bees! 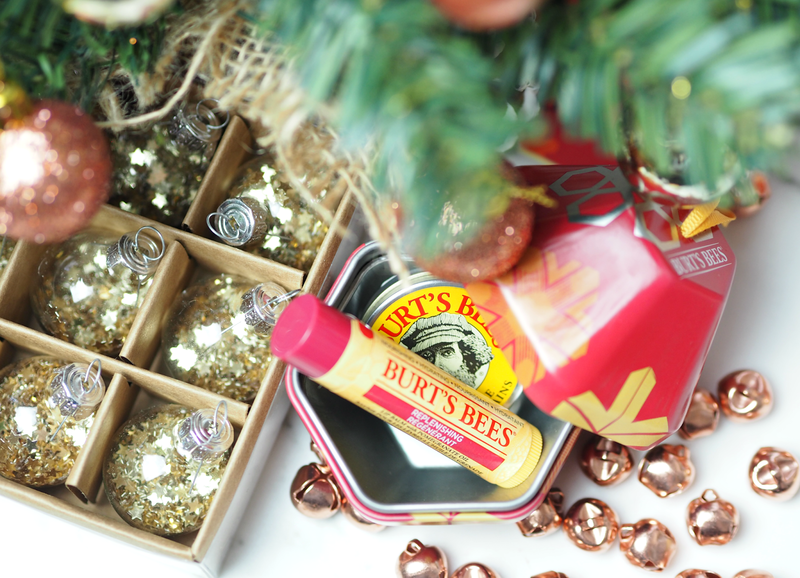 An adorable glass honey pot contains a trio of 100% natural products for you to enjoy, including: Vanilla Bean Lip Balm, Beeswax Lip Balm and the classic Burt’s Bees Hand Salve. Not only is the honey pot the cutest way to package a gift, but the treats inside will be most welcome during the colder months. 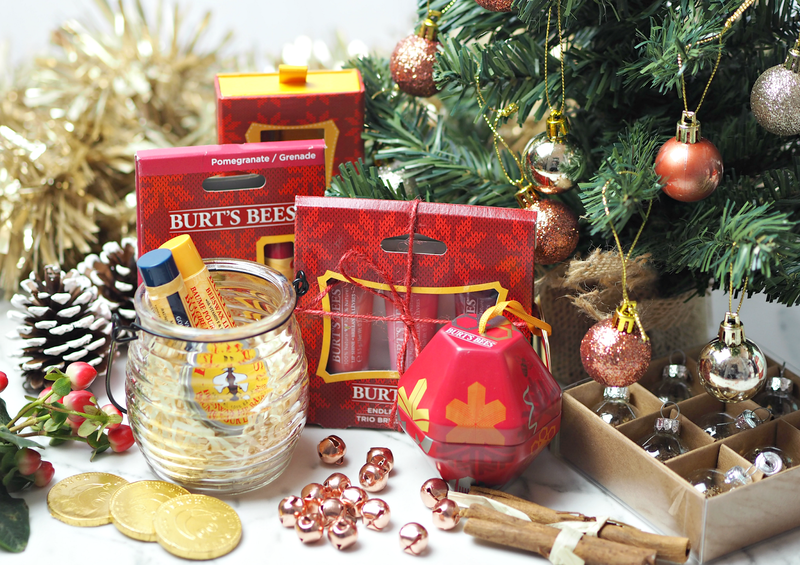 It’s a great gift for anyone that already knows and loves the Burt’s Bees balms, while also offering great value – the contents alone are worth £18.97, excluding the little glass jar. Offering a saving of nearly £14.00 (each gloss usually costs £7.99,) this is a great stocking filler – but also a great excuse to stock up on gloss yourself. The delicate shades are beautifully glossy and enhance the natural tone of lips, while the formula nourishes with Apricot Wax and softening Sunflower Seed Oil. The formula isn’t sticky or gloopy, instead offering a tonne of natural shine and a comfortable finish that smells good enough to eat. And they’re all 100% natural. If colour is more your thing (or your mates, because we’re supposed to be buying for loved ones right?) then this little set is a great alternative. 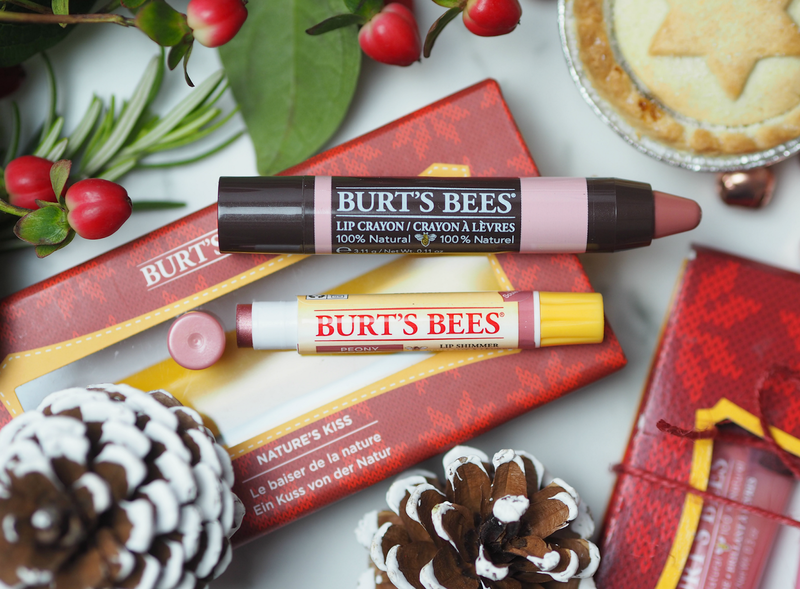 This duo of 100% natural lip colour includes Burt’s Bees Lip Crayon in Sedona Sands (providing full coverage matte colour,) as well as Burt’s Bees Lip Shimmer in Peony (for a vibrant tint with a hint of sparkle that’s more than appropriate for the season.) 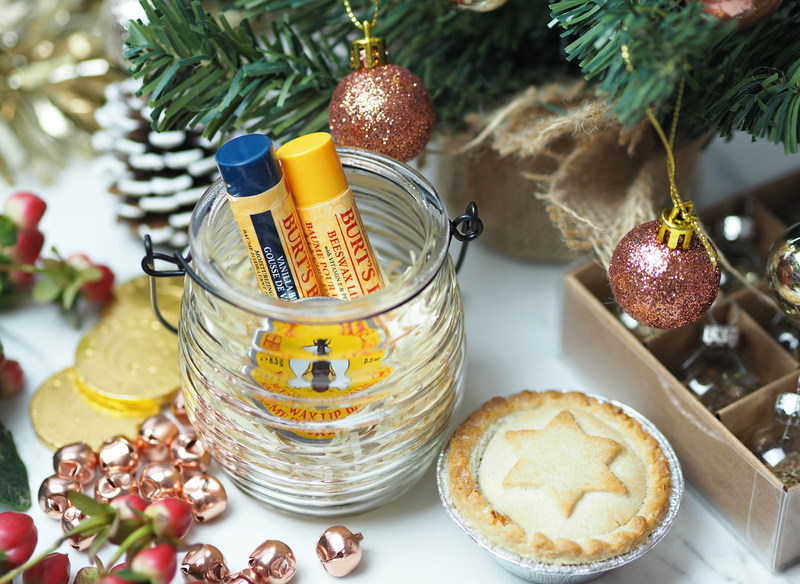 Combining moisturising care with colour (ingredients include Shea Butter, Kendi Oil and Jojoba Oil,) these will have your lips looking kissable for when the opportunity arises under the mistletoe. Which of these five picks is your favourite? Will you be picking any up for a loved one (or yourself)? This is a sponsored feature on behalf of Burt’s Bees; all opinions are my own. You can get good offers online (I think they're in a multi-buy at John Lewis) and discount direct on their site too. They really are. I always go back to them, time and time again.